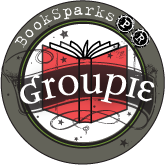 Sacrifice is the third novel in the Young Adult Gryphon series by Stacey Rourke. It is best to have read the previous two books in the series, The Conduit and Embrace, to start with an understanding of events in Sacrifice. The adventures of Celeste, Keni, and Gabe (siblings) continue as they embrace their supernatural abilities and navigate life. Celeste has embraced her duties as the Conduit (think the enforcer of the semi-good supernaturals) and is training to enhance her abilities. She is training with, of all people, a berry eating gnome who has some control issues. Since Alaina, her previous spirit guide, has renounced her supernatural abilities and has fallen in love with Celeste’s brother, she is stuck with the bossy, obnoxious Bernard. Celeste has found love with Caleb, a demon with an Irish accent. Technically, demons are the enemy, but Celeste and Caleb have found happiness. Well, at least for a while. Until a glitch in the demonic rules means that Caleb has to go away for his own safety. Enter Rowan, the pirate demon who is determined to push Celeste’s buttons. Everyone loves a rascally bad boy—and Rowan is it. Will Celeste get over Caleb and find love with Rowan? 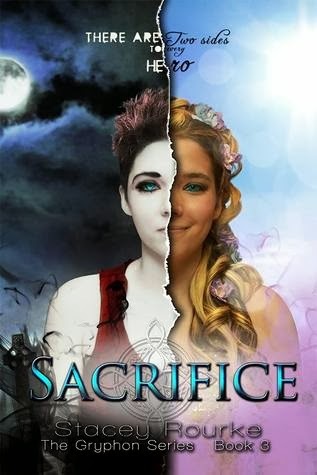 Sacrifice is divided between the drama in Celeste’s love life, the wedding of Gabe and Alaina, and the battles with the dark side. The best part of Rourke’s writing, by far, is the way she writes unique, appealing, and witty characters. Each one of the main people in her novels is distinct and well drawn. I found myself laughing out loud at some of the things they said. Rourke does a great job of capturing age appropriate conversations for the characters (some are teenagers), and each interaction, particularly with Rowan and Celeste, is well done. The supernatural battles were less compelling for me and I found my attention starting to wane. The final drama at the end of the novel felt a little rushed and anti-climactic. I did like the whole wedding tie-in though, and Rourke does a great job describing the setting of the Biltmore Estate (the location of the wedding). This novel is not the end of the Gyphon books, and it ends with a clear expectation of another book. So, start at the beginning of the series and catch up before the next one comes out!